Instead of the $29.99 price tag for last season, the All-Access Pass for season two is $14.99 and includes the same special chat rooms, ad-free viewing, and Command Center access. On top of that, it will have point-of-view streams for each player in a game — a brand new feature that adds a ton of value to the pass for anyone who didn’t find it interesting last year. 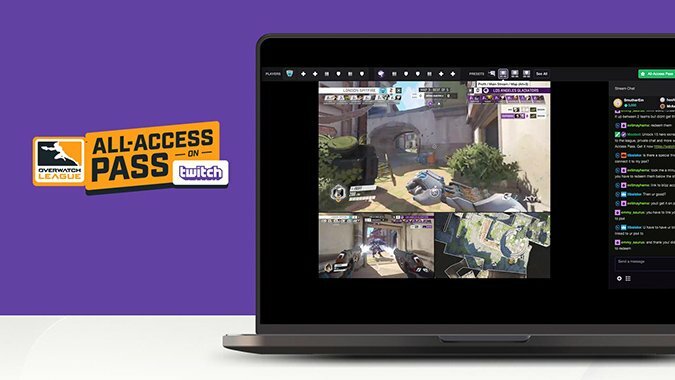 The All-Access Pass also includes 200 Overwatch League tokens, a 20 percent off Overwatch League merchandise code, exclusive chat badges, and, if you’re a Twitch Prime member, 500 bits to cheer for your favorite team. It doesn’t look like you’ll receive a bundle of Overwatch League in-game team skins like last season’s pass, but considering it’s cheaper, that seems alright. Overwatch League season two begins on February 14, and will feature a whole new schedule with teams playing generally less than they did last season. This should improve the health of the players and will likely make the games a lot more fun to watch. In addition to the new schedule, the league will take a longer break in between the middle of the season — which will also include the All-Stars games. There have been a ton of change-ups to the team’s rosters, so your favorite teams could be unrecognizable from season one. There are also eight new expansions teams this season that should change up the competition a lot since the last time we saw professional Overwatch. One of those teams, the Hangzhou Spark (AKA the pink team) will be playing against the Shanghai Dragons (AKA Geguri’s team) in their first game of the season. With the recent, big changes to the game’s meta, this could be one of the most interesting seasons to watch.